Directions: The map directions will lead you to a public parking lot. If you head directly to the beach from the parking lot you will see the jetty to your left. 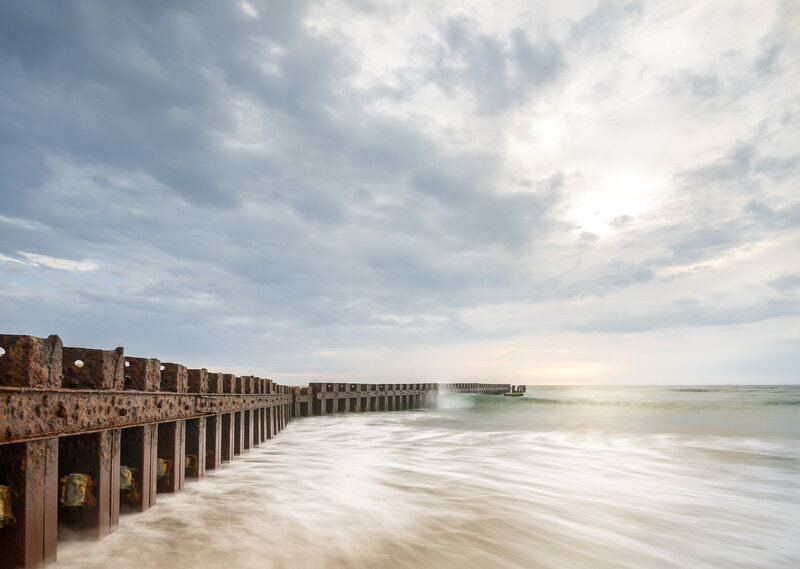 The Hatteras Island Jetty marks the original location of the Hatteras Island Lighthouse. 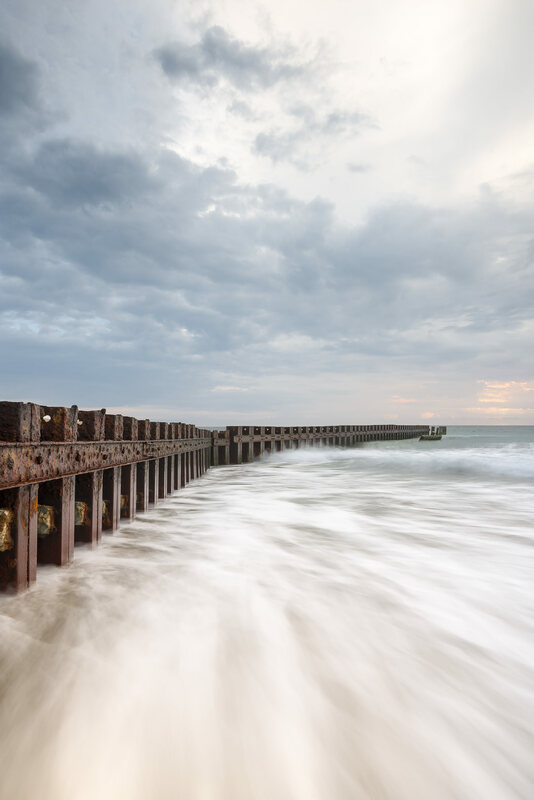 Over the years it’s created a change in beach levels which provides a beautiful contrast between the static structure and the turbulent ocean. Bring the most sturdy tripod you own, as you’ll want to get close to the action. Burrow your tripod in the sand at a safe level and keep your hand close to the quick release in case a larger wave rushes in. Also bring as many cleaning cloths as you can to remove the buildup of sea mist on your lenses and filters.